Fairphone 2 is ready for shipping starting today. The easily repairable phone and one of the first functional “modular” phones out there has started shipping to pre-orderers today. This is supposed to be one of the easiest phones to repair as you will be able to replace key parts of the phone without needing more than a screwdriver. All you will have to do is buy the replacements from Fairphone themselves, of course. 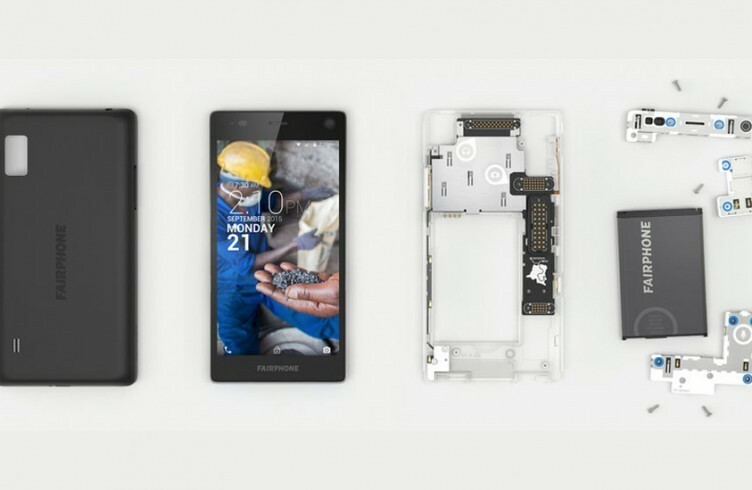 Fairphone 2 is made with some metals, but they come from conflict-free mines. The phone was announced earlier this year via Kickstarter and the official site and it has been available for preorder for a while now. The phone is sold exclusively in Europe for € 529 and tests show it is easy to deconstruct and its replacement parts are pretty easy to set in. The manufacturers hope that, in the future, this model could help with electronic waste reduction because such a phone can be repaired and it would last for more than five years. This way, you would not HAVE to change your smartphone every year or so, or whenever your display cracks or your battery loses energy. You would also decrease your carbon footprint on the world. Fairphone expects to ship the first 1,000 smartphones before the end of 2015 and the rest of the preorders should ship before the end of January. Did you preorder a Fairphone 2? What do you think of it, is it a good acquisition for you? Let us know in the comment section below!